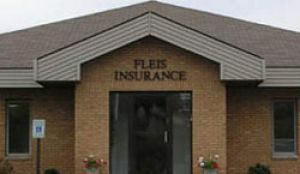 Since 1959, Fleis Insurance has served the Tri-state area as an independent insurance agency group providing a variety of insurance products and services to corporate, institutional, professional and individual clients. It helps to find an agency that you know and can trust. Our staff has the knowledge and experience of our insurance products to provide maximum benefit and protection to our clients. Let one of our licensed professional insurance agents help you with any of your personal or business insurance needs serving La Crosse, Onalaska Wisconsin. We want you to have a positive overall experience with Fleis Insurance Agency. Our one on one service approach is our #1 goal for all our insurance clients. Give us a call at 608-783-5206 or contact us through one of our quote forms, and we'll be happy to answer any of your insurance questions.